For 2019, the facility is looking to host more than 30 events, highlighted by returning favorites and first-time experiences. 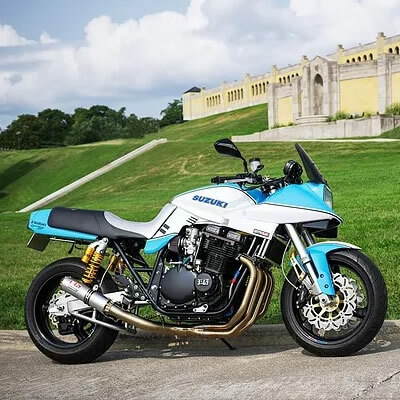 The sound of thundering hooves and the roar of horsepower are just a few of the highlights poised for ERX Motor Park in Elk River this summer. The 400-acre complex has become known as Minnesota’s motorsports mecca, but in recent years the venue has expanded its event roster beyond racing. For 2019, the facility is looking to host more than 30 events, highlighted by returning favorites and first-time experiences. Before we head into the warmer temperatures of summer, ERX will host its biggest winter event when ERX Eliminator returns Saturday, March 2. The head-to-head, double-elimination snocross racing format will feature more classes, the world’s best drivers, and a top prize of $10,000. Immediately following the Eliminator race, ERX will deliver perfectly groomed trail conditions for OEM Ride Day on March 3. The event gives enthusiasts a chance to demo ride the newest snowmobiles from all four manufacturers. With the winter season preparing to make an exit, ERX gives snowmobile fans one final celebration with the immensely popular Snow Oval race on March 21 (weather permitting). The end-of-season celebration features a full assortment of classes and a few new ones for an evening of family fun. Summer at ERX kicks off with the return of the Extreme 5K on May 18. The run zig-zags across the 400-acre facility and challenges participants with several unique obstacles with such names as Snow-Nami and Trench Warfare. Next up is Bulls and Barrels on June 1. Hosted by the Rice Bull Riding Company, the event features professional bull riding, barrel racing, a kid’s fun zone, and a free post-event concert. Once the heat of summer arrives, you’ll be able to quench your thirst when the IPA Beer Festival returns to ERX on June 29 with more brewers, greater food truck selection, and a bolstered line-up of entertainment. Tickets for this one go fast, so don’t procrastinate. The highlight of summer fun at ERX hits like a freight train when the ERX Off-Road National returns July 12 and 13. 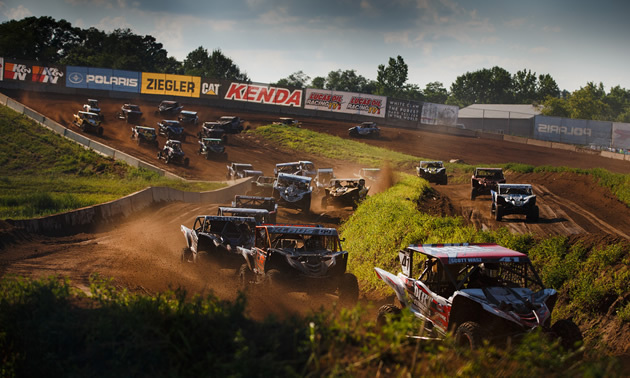 Featuring the world’s best short-course off-road truck drivers, the Lucas Oil Midwest Short Course League will unleash the fury of 900-horsepower trucks on what many deem is one of the best spectator tracks on the tour. The weekend event is packed with action and includes live entertainment and on-site camping. Sandwiched between these anchor events will be the homegrown Beater-X Series on Thursday nights and the return of the Off-Road Border Battle X-Country motorcycle hare scramble April 27-28. The summer Beater-X Series will feature 5 race nights throughout the summer with compact car, truck, side-by-side and ATV racing on a one-of-kind track. When the colors of fall arrive, the calendar stays busy with a pair of can’t miss charitable events. Up first is the return of the Get Busy LIVIN Music Festival which made its debut last year with Craig Morgan as the headliner and nothing but positive experiences from fans. Close on the heels of the LIVIN Festival is the return of the immensely popular Day of the Dozer event where kids receive a full-size sand box experience behind the controls of giant construction equipment. Proceeds from Day of the Dozer go to Children’s Hospitals and Clinics of Minnesota, while the LIVIN Music Festival uses funds to help with depression and suicide prevention within the community. RidersWest Insider Province provides record funding for ground search and rescue in B.C. The Province is providing $18.6 million in one-time funding to ground search and rescue (GSAR) groups throughout the province.